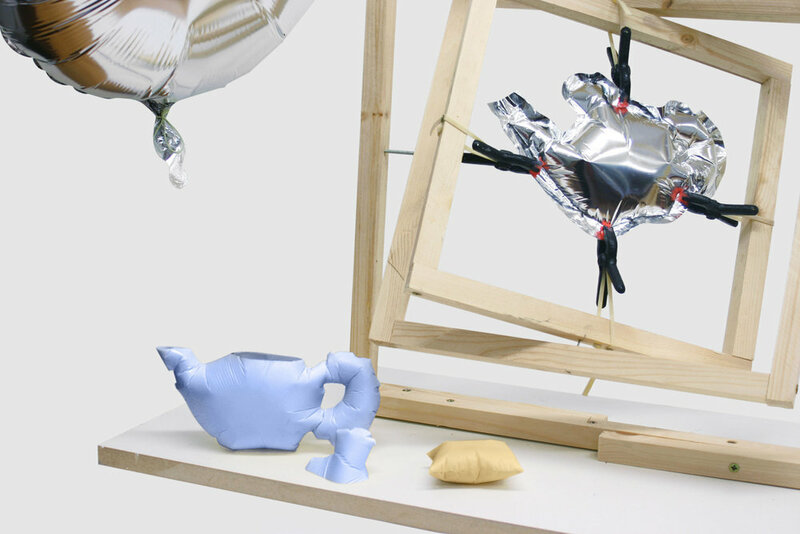 Blow-Up Moulding uses common mylar balloons as moulds. For the process, an iron is used to create balloons in the shape of every-day objects. The balloons are filled with resin, inflated, and then rotated in three dimensions for a couple of minutes until the resin hardent. Afterwards, the mylar can be easily peeled from the plastic shape, which inherits the specific aesthetic of the blown up object. The process developed is a quick and direct way to create a three-dimensional object from a two-dimensional drawing.